Nicely punched to Digvijay Singh. 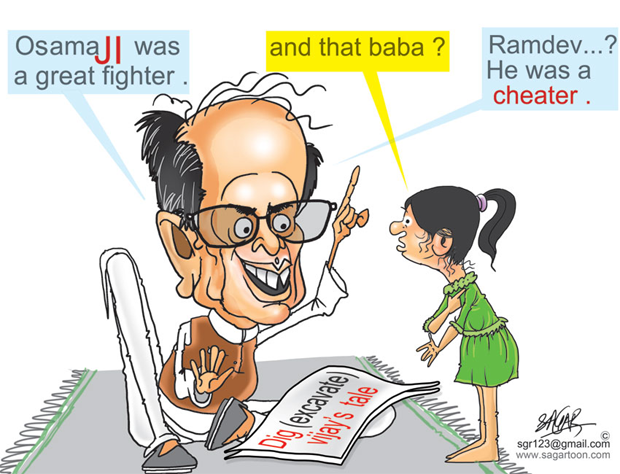 Hope Digvijay will see this cartoon and think for himself before commenting to anybuddy. Thanks Mallick ji.......Thanks Gopal ji........for your feed back.......pl. watch continue Boloji .......Thanks . Sagar Kumar ji, nice cartoon, but why do you waste your time on a man who is at best a 'blot' in the history of Indian politics. What is amazing is how this man can be the Congress party spokesman! The level of stupidity beats the dumbest of blond jokes!